“In Bulgaria, women would pleat skirts by wetting the wool, moulding it into a row of wooden sticks, and then drying it in the sun. 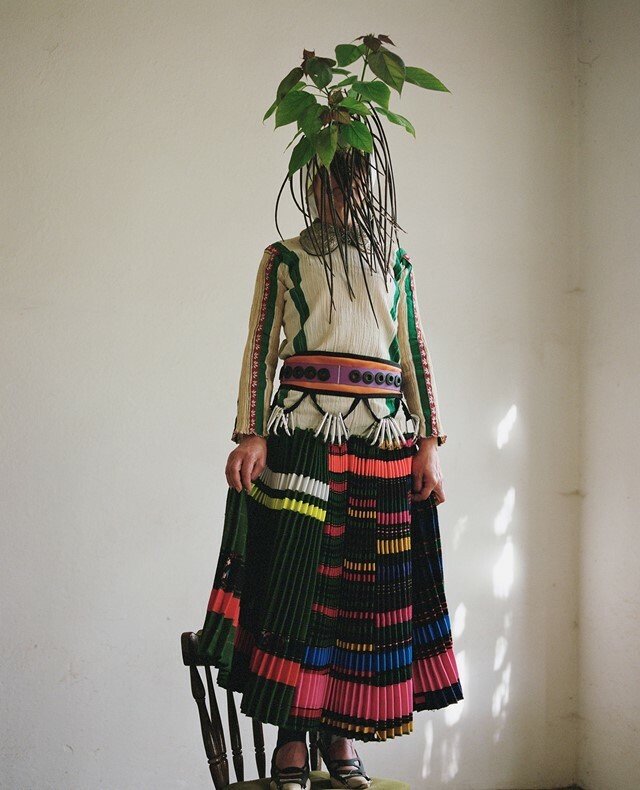 They would do that repeatedly, and at one point the wool takes on the shape and the pleats become permanent,” Emma Chopova says excitedly of a traditional technique she and Laura Lowena incorporated in the first collection of their brand, Chopova Lowena, which refashions folklore with the contemporary. That, and an unlikely dash of 80s rock climbing. 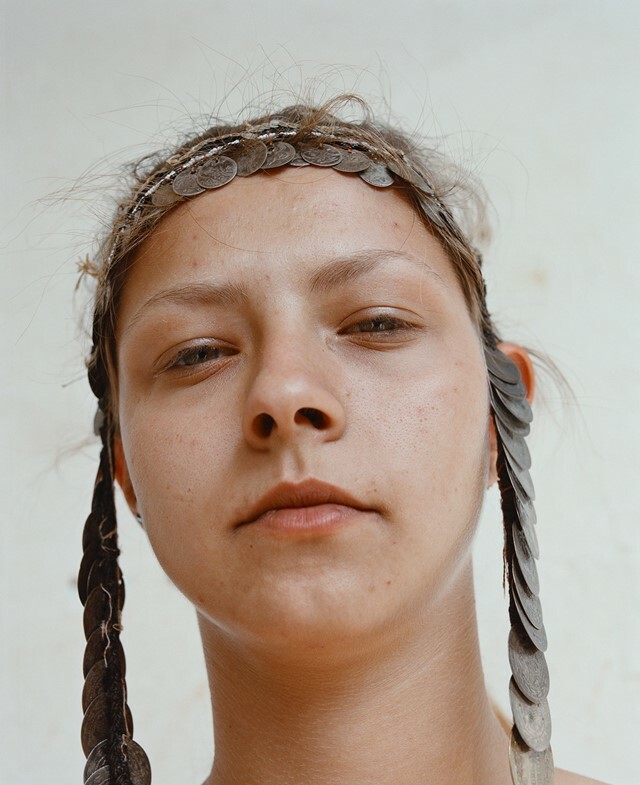 Born more than 2,000 kilometres apart (Sofia and Somerset respectively), their story together started six years ago at Central Saint Martins: Emma was the first person Laura spoke to on the BA, and after wrapping up their undergrad, they became the second duo to ever have enrolled in the college’s MA Fashion course after Marques’Almeida. “Meeting each other was the most vital and significant moment for us,” they say. “We don’t feel that we could have developed our point of view in the same way and as strongly as we have together.” Their respective backgrounds play a big part in their lives, as they mix heritage with ‘something abstract’ or references that would juxtapose with more traditional images. Chopova, for example, can soak up her motherland’s culture with a certain outsider point of view, as she moved away from Bulgaria aged seven. 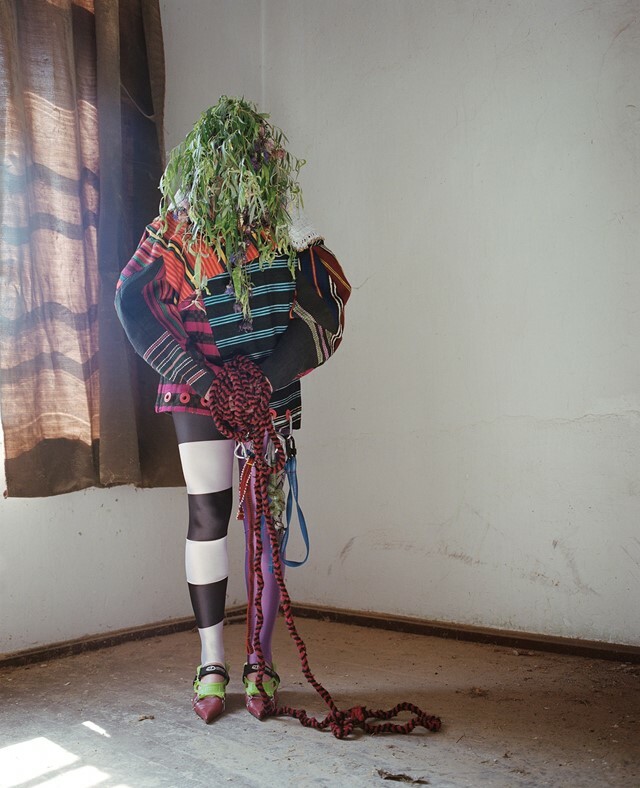 It gives her a unique perspective to look at costumes without strong correlations to pride and tradition, but instead with an appreciation of the techniques and the freedom to apply them and disturb conventions. 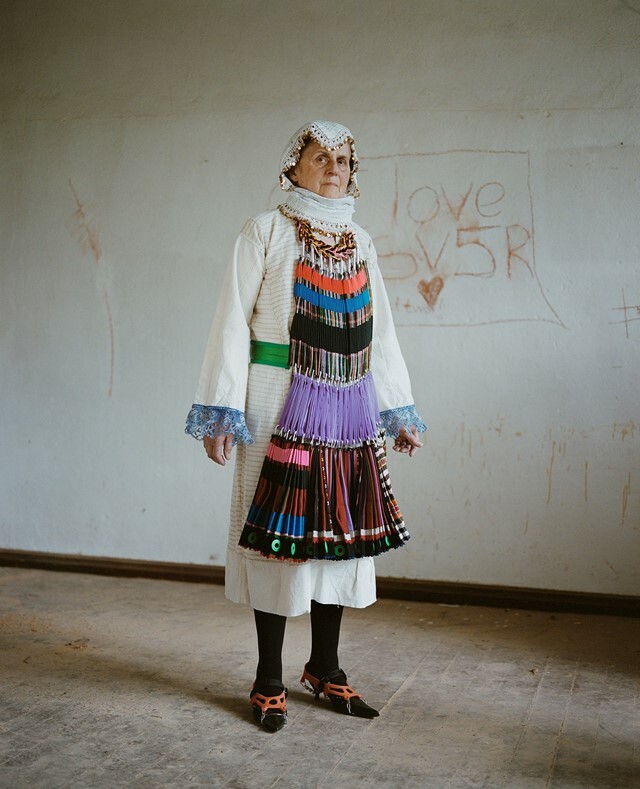 Taking a cue from the way that people currently dress in Bulgaria, a thread runs through their work in the shape of clashing old and new. “We are really fascinated with the mix of secondhand clothes and traditional pieces,” Lowena says. 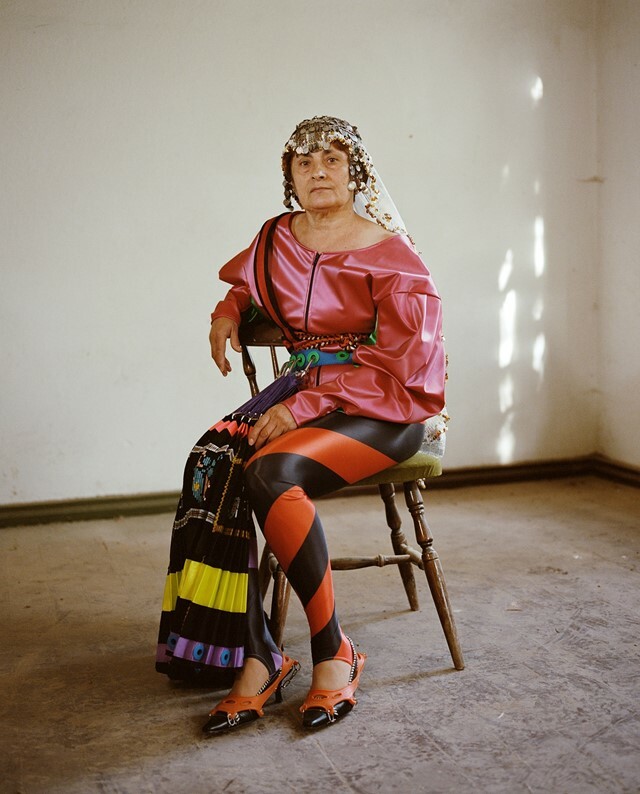 “The way in which people style themselves, wanting to wear a dress that was handed down from their ancestors but putting it on with some sunglasses and some old sneakers. 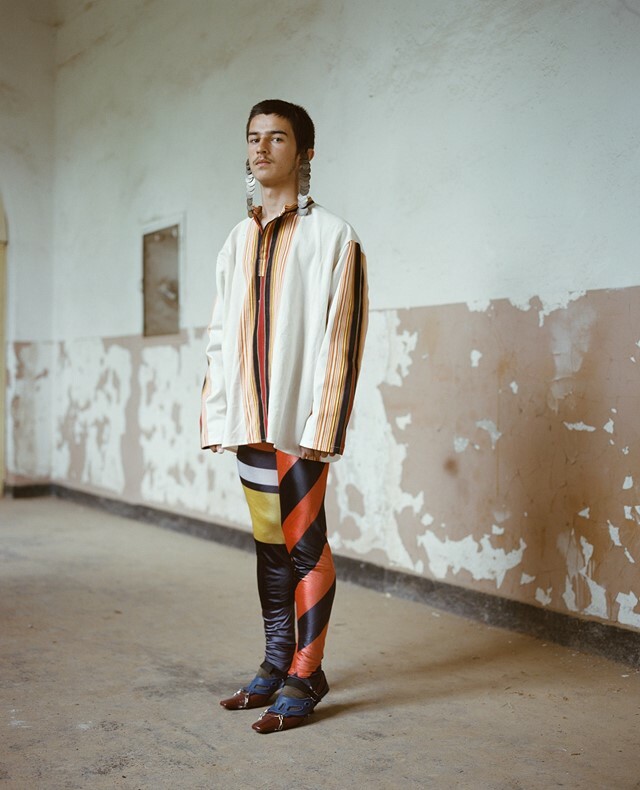 That’s a really important aesthetic to us, this sort of DIY ridiculous mix of these cheap, western secondhand clothes that all of a sudden come into contact with very precious folk garments – a mash-up which is so off-putting yet so beautiful, in a way.” They hope to reach that point with their future collections; an unsettling juxtaposition, a disturbance of the folk with the industrial, “or whatever the next thing we choose to clash it with”.